Acknowledged as being the most famous waterfall in the Ardèche, this gush of water plunges from a height of 50 metres into a translucent pool. 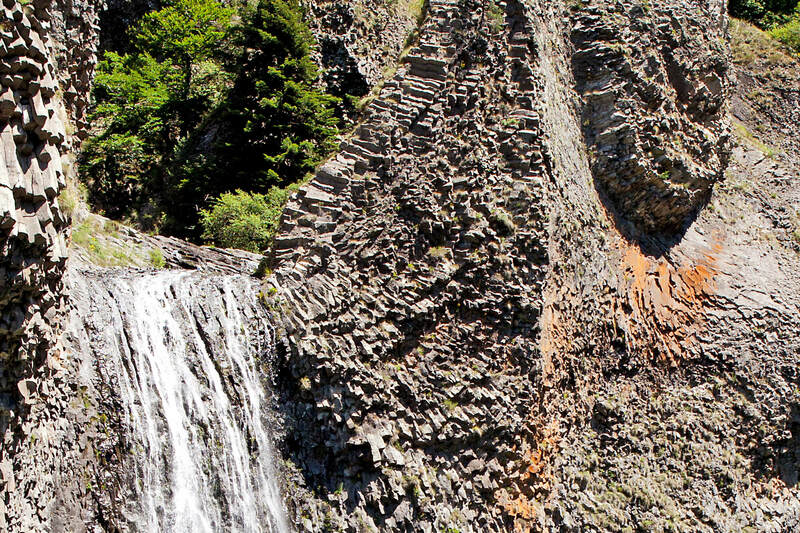 This natural waterfall situated in the commune Péreyres is also classified as a natural volcanic site. Several thousands of years ago, the Ray Pic volcano was extremely active and belched out some of the longest lava flows in Europe. 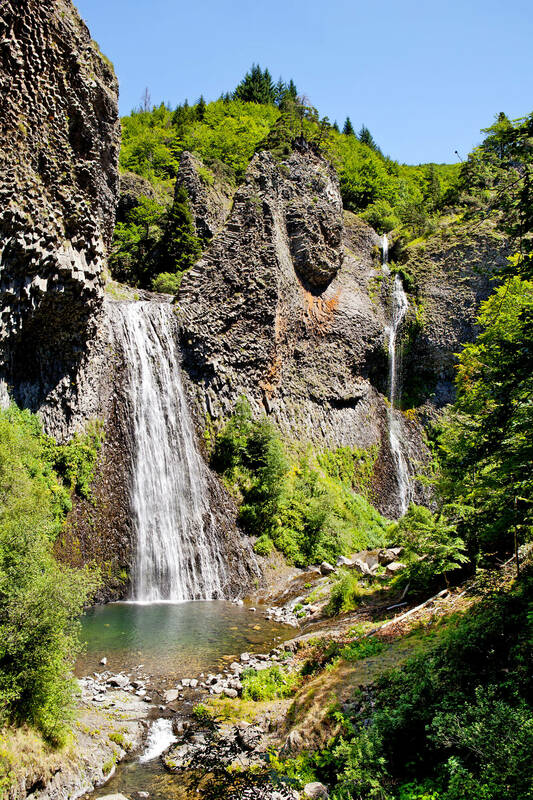 Owing to a series of staircases and a very accessible footpath, children and adults can easily get to the panoramic viewpoint of the Cascade du Ray Pic. In less than 30 minutes, you can discover this exceptional panorama with the benefit of nature's freshness. 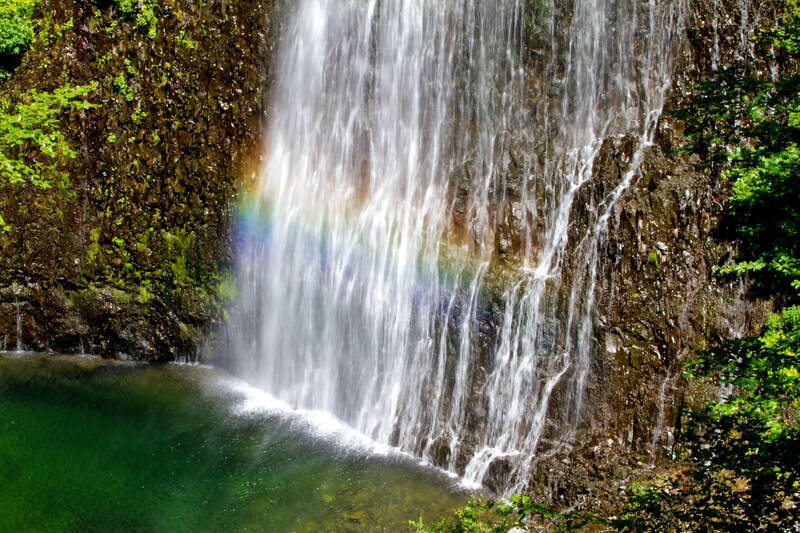 Even when it is undeniably very hot, there is a formal prohibition on bathing in the Cascade du Ray Pic (the Ray Pic waterfall. Pay attention though as the pathway is inaccessible to those with reduced mobility or disabilities and pushchairs.